The production of Collagen in our body declines as we age. 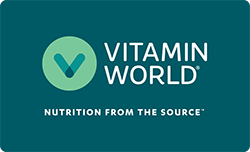 Advanced Collagen Powder by Vitamin World supports skin elasticity, healthy skin aging and helps with the reduction of wrinkles. ** Contains a blend of Type I and Type III Bioactive Collagen Peptides designed for hair, skin and nails. Each 2 powder scoops provides 6000mg Type I and Type III Collagen. Our collagen powder is unflavored so stir 2 scoops with water, juice or iced tea. 7 oz. powder. 30 servings per container. Directions: For adults, stir two (2) scoops (6.5 g) with 4-8 ounces of water, juice or iced tea once daily.